I learned about a lot of things in medical school, but mortality wasn't one of them. Although I was given a dry, leathery corpse to dissect in my first term, that was solely a way to learn about human anatomy. 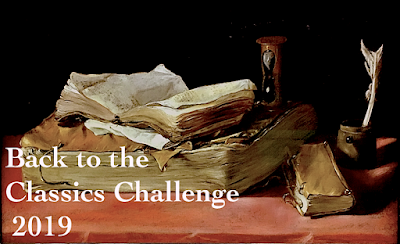 Our textbooks had almost nothing on aging or frailty or dying. How the process unfolds, how people experience the end of their lives, and how it affects those around them seemed beside the point. The way we saw it, and the way our professors saw it, the purpose of medical schooling was to teach how to save lives, not how to tend to their demise. I hadn't planned on reading this book so soon, but glowing reviews from Les and Kay, combined with an available copy on the new nonfiction shelf made now seem like the perfect time. Last night I sat down for a "reading sample" and finally look up 50 pages later. I'm committed. Gawande, a practicing surgeon, addresses his profession’s ultimate limitation, arguing that quality of life is the desired goal for patients and families. 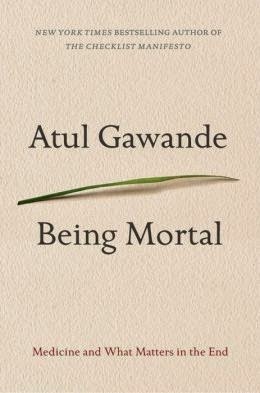 Gawande offers examples of freer, more socially fulfilling models for assisting the infirm and dependent elderly, and he explores the varieties of hospice care to demonstrate that a person's last weeks or months may be rich and dignified. Already on my to-read list! I think everyone has a lot to learn on this subject, most definitely moi. JudyMac - My thoughts, exactly! I found it so absorbing and I don't usually read non-fiction that way - straight through. Maybe part of it depends upon where you are in life and what experiences you've had. Anyway, hoping you have a good experience too. Kay - Once I picked it up, I knew I was going to read it straight through. Looking forward to my reading time tonight. Donna - Thanks. I think this will turn out to be an important read. I most definitely need to read this book. It sounds like it has a difficult subject matter but is totally worth reading. Athira - I agree. The writing style is excellent, too. This actually sounds really interesting and I liked the writing style in the intro. Though I've never been interested in this book before (I've seen it around), what you shared grabbed me! Sarah - Gawande's prose drew me in immediately. I think this book will lead to some important discussions. The intro does sound interesting. I think there is a lot wrong with the way medicine is taught, so this would probably get a strong reaction from me. Suzie - It seems like end-of-life issues are not adequately addressed in medical schools. I've been hearing good things about this one and am curious about it. I hope you enjoy it! Wendy - Thanks. The beginning is excellent... fingers crossed it continues. This sounds like a book that needs reading and putting into practice! Cleo - Agreed! Some interesting discussion are sure to follow. Fantastic intro, and now yet another book I must read. This isn't something I'd normally read, but your comments make me want to take a second look. Catherine - It is a surprisingly good read, despite the subject matter. This book should lead to some excellent conversations. I want to read it. Margot - I'm going to recommend my husband read this one, too. Ana's review over on things mean a lot was the first I heard of this book, and she convinced me I needed to read it. I don't think it'll be an easy read, but I do think it'll be well worth it. I'll be curious to hear your thoughts! I've read about this book and have been thinking about reading it. Such an important subject. Thanks for featuring it! I like the intro, and I'd keep reading! Monica - This is an important book... so much to think about! I really really liked the intro! It reminds me a lot of my favorite tv shows, Grey's Anatomy :P I'd keep reading. Thanks for sharing it, JoAnn! Eryn - I love Grey's Anatomy, too! Yvonne - It's much more interesting than I was expecting. Such a good (and important!) book. I'm glad you're enjoying it, JoAnn. Les - I like the writing style, too. Hope I can convince my husband to read it. Wow, I like the idea of a "good end." Thanks for sharing...and for visiting my blog. Laurel-Rain Snow - There is definitely a lot to think about in this book. This book I plan to read. 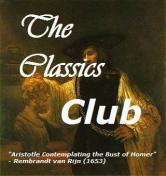 I am holding off to the end of the month so I can recommend to my book club. It's my turn o select a book. 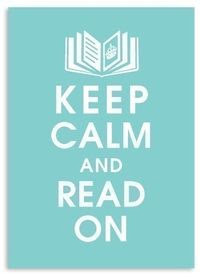 If not for that, I would read it right now. Pat - I think book clubs would find a lot to discuss here. Yes. I would keep reading. I'm interested in this book and know it must be important. Thecuecard - I'm half way through now and will definitely be recommending this book.